Are you unsure of what firmware versions are available for your iPhone or iPad? Want to save your SHSH blobs easily? Then check out a powerful tool called TSSChecker. 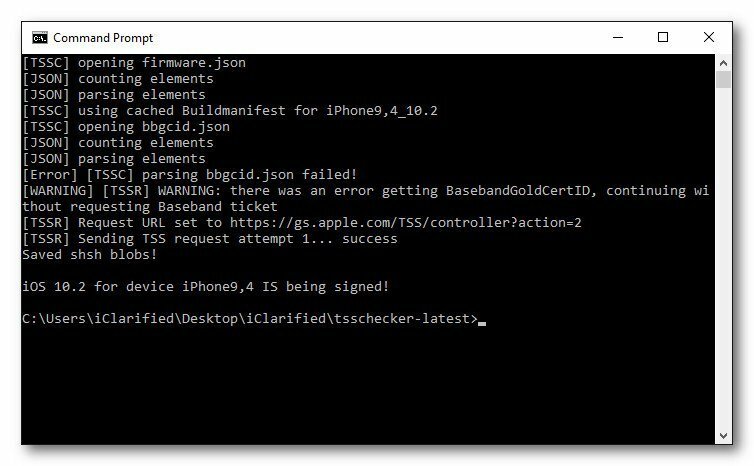 This is a useful desktop tool that lets you check your iOS device and firmware signing status among other cool features, and it’s just been updated to provide support for all iOS devices, not just the older ones. This is a command line tool and may not be suitable for all so, if you are not familiar with using the command line or are not confident, it’s probably best not to use the tool. There is an alternative that can also save your SHSH blobs and is easier to use; it’s called TinyUmbrella, and you can get all the details at the link. TSSChecker has support for Mac OS and Windows and is one of the most accessible tools to download. Just click one of the buttons below. TSS Checker is one of the most useful tools ever for those of you who are comfortable using the command line. If not, as I said earlier, have a look at TinyUmbrella. Try TSS Checker, tell us what you think and follow us on Facebook for more cool tips.